Imagine a city where there are at least 350,000 motor vehicle owners. Now imagine that these owners will no longer have a use for their vehicles. 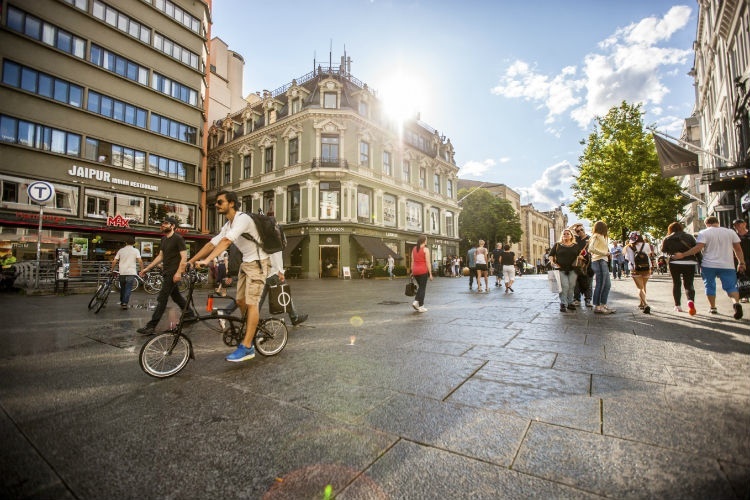 In the city of Oslo, the capital city or Norway, a recent announcement has changed everything about how people view their vehicles. According to a report on Reuters.com, Oslo officials plan to have a completely car-free city by the year 2019, which is barely four years into the future. This will be the first ban of its type to take effect in a European capital and is intended to be a permanent change. But, why such a change in acceptable transportation means for visitors and residents? Most people know that cars are bad for the environment, but most do not know just how bad they can be. Motorized vehicles induce the majority of pollution into the atmosphere, exhausting harmful levels of both carbon monoxide and nitrous oxide. Unfortunately, air pollution causes the untimely death of at least 3.3 million people worldwide every year. Not only is this a concern in Oslo, but so is the safety of pedestrians who travel through the city streets. By eliminating personal transportation vehicles, such as cars and trucks, pedestrians can feel safe about roaming on foot and cyclists can navigate freely without concern of being struck by a vehicle. Oslo is taking note from other locations. Oslo is not the first major city to implement changes and regulations regarding motor vehicles, but the change is considered to be one that will occur the fastest. Madrid previously announced that they planned to eliminate vehicles by the year 2020. Paris no longer allows vehicles in the streets around well-known landmarks, such as the Eiffel Tower. Milan has not implemented changes in vehicle regulations as of yet, but they do reward visitors who arrive on foot without a vehicle with free public transportation passes. Copenhagen has even been designating car-free areas in the city slowly over the last several years. So even though the news from Oslo may sound surprising it actually comes on the heels of changes being put in action by other places. How will traffic flow change? Oslo is planning to give special focus to giving bicycles access paths throughout the city and invest more into public transportation. Without vehicles crowding the roadways, travelers will be able to make it to their destinations much more quickly–even if by bike. Parking is also something that will dramatically change. Whereas one parking space could only house one vehicle normally, the same spot could be ample parking for many bicycles, which means a lot of land mass opened up, accessible, and available for other uses, such as sidewalks, city parks, or new business growth. It is possible to change the way the world thinks about vehicles and travel. Oslo may seem like a far away place, and many might assume that changes with cars on this scale would be unheard of in the U.S. However, these big changes in other countries definitely force other city officials and residents to look at cars in a different way, considering the options of other means of travel and how it could change lives. After all, the average motorist will waste away 106 days in the span of their lifetime just trying to find a place to park. Combine these such statistics with obvious changes in other parts of the world, and it could easily boost the chances of people taking a look at cars in a different perspective.